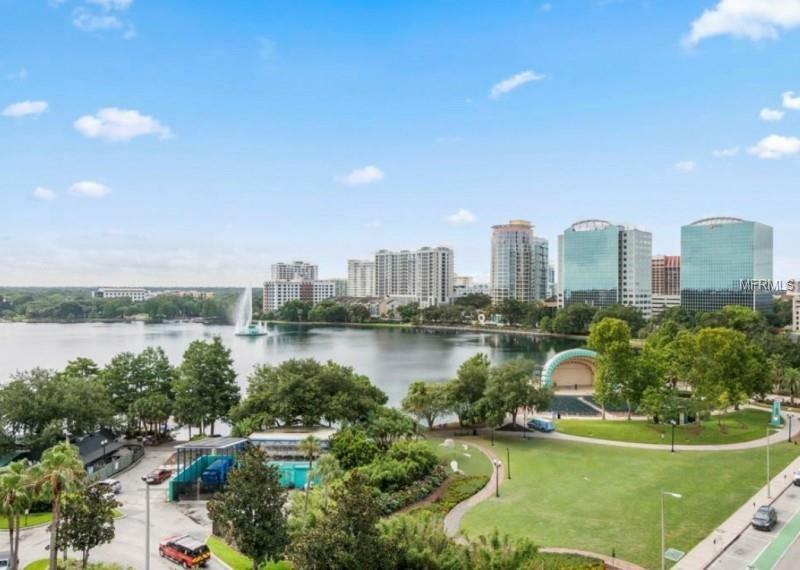 The Vue at Lake Eola is one of the finest luxury high rises in downtown Orlando, steps away from Lake Eola and many of the best restaurants and bars in the city. This rare 12th floor unit is one of eight of its type in the entire building featuring a closed off one bedroom with a loft area, four massive sets of floor to ceiling windows with automatic shades, and two oversized balconies to enjoy the panoramic views of the nightly sunsets. Also included is upgraded wood flooring, stainless steel appliances including a gas range and whirlpool french door refrigerator, built in Bluetooth music cloud, and upgraded chandeliers. The Vue offers 24 hour security, concierge service, a heated Jr. Olympic size pool, tennis/basketball court, theatre room, pool table, wine cellar, 5,000 SF state of the art fitness facility and guest valet. A condo at the Vue is not just a home, it is a lifestyle.